The dolphin (wild) appears only on the second and fourth reel , and can replace other symbols, but not yachts (scatter). Dolphins (wild) are alternative, can be combined with other symbols to win, the prize are doubled. - All icons win combinations are done from left to right, except for yachts (scatter). - Fish (bonus) only appears on the third reel. - It replaces all icons but does not include yachts (scatter symbol). - When the bonus fish replaces a symbol in a winning combination, the winner may be awarded a winning score with multiplier of x2, x4, or x8. 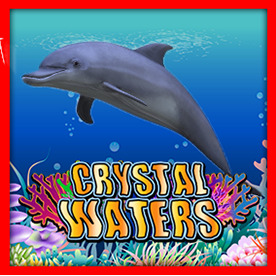 - When the fish (bonus) and the dolphin (wild) appear in the winning combination, the fish (bonus) multiplier will increase.